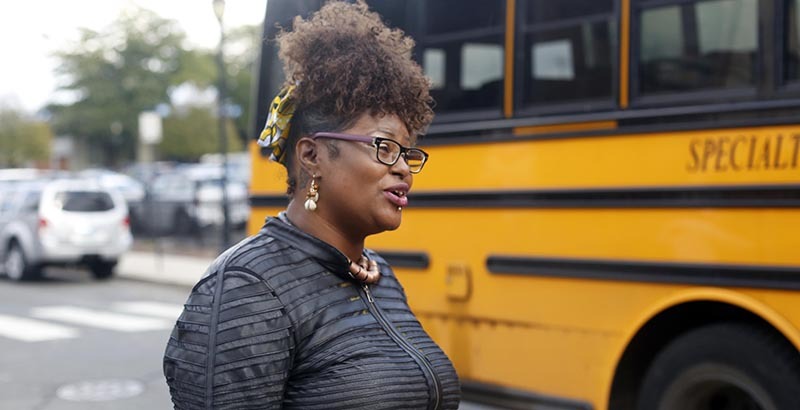 Standing outside one of the city’s high-performing magnet schools, LaShawn Robinson decried an enrollment process she believes was stacked against her black son. Year after year, her oldest son, Jarod, applied to attend one of the city’s magnet schools, which enroll pupils through a competitive lottery. First on a waiting list three times, he was never selected. Without a chance for a quality education, he dropped out of school. On this chilly October afternoon, Robinson spoke at a press conference outside Kinsella Magnet School of Performing Arts to explain why she is bringing a federal lawsuit against the state, its education department, and Hartford’s board of education. The legal battle follows years of efforts to integrate Connecticut’s public school system, among the nation’s most segregated, with one of the widest racial achievement gaps. But this isn’t your typical school desegregation lawsuit. It’s the process to integrate Hartford schools that Robinson is fighting. In the federal lawsuit filed earlier this year, Robinson and seven other Hartford parents allege the magnet schools employ an unconstitutional “racial quota” that limits the number of black and Latino students to 75 percent of total enrollment while the lottery system to select students gives preference to white and Asian students from the more affluent suburbs. “There are hundreds of empty seats, and we’re telling kids, ‘No, you can’t come in there because your quota is already met,’” said Robinson, a mother of five. The lawsuit could have major ramifications, not just for Connecticut’s magnet schools but for the future of desegregation efforts nationwide as well. Attorneys with the Pacific Legal Foundation, a libertarian law firm based in California that represents the parents pro bono, make no secret of their aim to use the case to set a federal court precedent. Should the case progress to the Supreme Court, said Pacific Legal attorney Joshua Thompson, it could set a new standard that education leaders are “not permitted to discriminate against black or Hispanic kids in order to achieve a diverse student body.” In other words, they aim to prohibit educators from considering race as a factor when assigning students to schools. If some of Thompson’s rhetoric sounds familiar, it’s not by accident. The legal battle in Connecticut is unfolding against the backdrop of a federal lawsuit challenging Harvard University that could reshape affirmative action admissions policies in higher education. In that lawsuit, Asian-American plaintiffs argue that Harvard’s admissions process, which considers a student’s race among other factors, is discriminatory. That case is largely expected to send the question of affirmative-action-based admissions back to the U.S. Supreme Court. Cara McClellan of the NAACP Legal Defense and Educational Fund, an attorney for the plaintiffs in Connecticut’s decades-long segregation battle, also represents Harvard student and alumni organizations that claim the elimination of race as a factor would lead to further discrimination against applicants of color. Traveling from Boston to attend a recent Hartford town hall devoted to the Robinson case, McClellan argued that segregation is at the heart of academic achievement gaps between white and minority students. 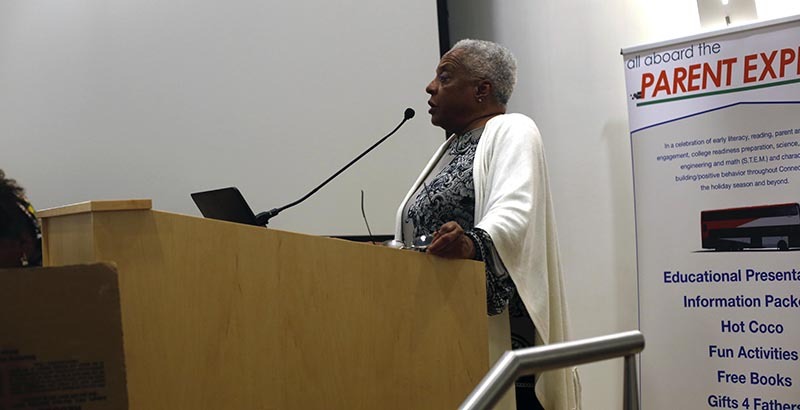 “As long as we continue to segregate kids and send them to school based on segregated housing patterns, we’re going to continue to see the achievement gap play out,” she said. That inequity, she continued, is present in everything from resource allocations to hiring quality teachers. In order to understand the stakes in the Robinson case, it is necessary to go back almost 30 years to an earlier — and still ongoing — lawsuit. In many ways, the fate of LaShawn Robinson and her son is bound up with that of another African-American family: Elizabeth Horton Sheff and her son, who began the legal fight to integrate Connecticut schools in 1989. In its decision in that case, the Connecticut Supreme Court ruled that segregation between the city schools, which primarily serve low-income students of color, and those in the whiter, more affluent suburbs, violated the state constitution. As a result, Hartford’s magnet schools and an interdistrict transfer program, both designed to encourage voluntary integration, were created. A controversial part of the agreement declared a school segregated if its black or Latino student enrollment exceeds 75 percent. Horton Sheff acknowledges that the magnet system is imperfect — in fact, her desegregation lawsuit is back in court nearly three decades later. But she argues that the plaintiffs in the Robinson suit, if successful, could dismantle years of progress at the expense of thousands of children in integrated schools. Over the past decade, Connecticut has spent $3 billion on the desegregation effort. Nearly half of Hartford’s students — 22,000 in total — are enrolled in integrated schools, said Deuel Ross, an assistant counsel at the NAACP Legal Defense and Educational Fund. 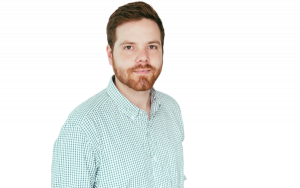 Although the Defense Fund deems the effort a success, several recent investigations by the local media have offered a more critical appraisal. One report by the Hartford Courant challenged whether half of Hartford students actually attend integrated schools, putting the percentage closer to a quarter. Another found that the state has manipulated the enrollment lottery to benefit white and Asian students at the expense of black and Latino students in segregated neighborhood schools. Because some magnet schools struggle to enroll enough Asian and white children, the investigation found, some minority students have been stuck on the waiting list. The result is that some schools have eliminated entire grades and others have lost their magnet status altogether. Critically, according to the Courant, some magnet schools that are unable to attract enough white or Asian children leave desks unfilled rather than enroll additional minority children, in order to maintain diversity. Meanwhile, the Connecticut Mirror found that while more suburban students applied to attend the schools last year than children from the city, Hartford youth have better odds of winning than those from the suburbs. A state education department spokesman didn’t respond to multiple requests for comment on the lawsuits. Ross rejects the notion that Hartford’s schools are constrained by quotas set in the Horton Sheff agreement. Schools are under-enrolled, he said, because the state caps the number of magnet seats it’s willing to fund. Moreover, he said, a handful of magnet schools each year are noncompliant, enrolling minority students at rates higher than 75 percent. This year, with thousands of students on the magnet school waiting list, state officials aimed to increase the 75 percent segregation threshold to 80 percent but were rejected by a Hartford Superior Court judge. Just hours after the press conference in front of Kinsella Magnet School, plaintiffs and attorneys from both the Horton Sheff and Robinson lawsuits sat at the same table and offered their perspectives to a crowd of about 50 people who showed up at the public library on Main Street. The town hall discussion was designed as an opportunity to hear arguments from both perspectives and to reach some common ground. Dubbed “The True Cost of Integration,” the event, if anything, seemed only to underscore the pervasive divisions between the two sides. Participants vehemently disagreed, not only about the facts surrounding Hartford’s magnet schools and the state’s desegregation efforts but about the value of integration itself. That notion, however, was not self-evident to some who were featured at the event, including Chris Stewart, a Minnesota-based education reform advocate. Key Minnesota Desegregation Case Asks Chilling Question: Can Supreme Court Intervene to Guarantee an Adequate Public Education? On a national level, a significant body of research supports the notion that integration offers educational benefits for students of color and from low-income families. One study published by the National Bureau of Economic Research found that desegregation increased educational and occupational attainment among black youth and improved adult earnings while reducing the probability of incarceration. Connecticut’s efforts to encourage integration have been lauded as a national model, including by John King, who served as education secretary under then-President Barack Obama. But earlier this year, the Trump administration scrapped Obama-era guidance that outlined strategies for schools to consider race as a way to promote student diversity, such as by looking at the racial composition of neighborhoods — a strategy used in the Hartford magnet school lottery. What’s clear is that the continued negotiations have major implications, not just for Hartford children but for desegregation efforts nationwide. For Robinson, victory in the federal courts would eliminate a system that’s keeping black and Latino students from quality schools. Although Robinson’s son Jarod dropped out of school after being denied admission into a magnet school, he now attends an adult education program. Meanwhile, her three youngest children had better luck and now attend Kinsella Magnet School. Magnet schools were designed to encourage integration, and Horton Sheff worries that a Robinson victory would come at the expense of children currently enjoying an education at one of the city’s integrated schools. At the end of the day, both sides may be right, said Hartford School Board Chairman Craig Stallings, a defendant in the Robinson lawsuit. In Hartford, he sees a system beset by unintended consequences. Although he recognizes the value of integration, he said the district’s students would be better served if the system focused on improving quality in all district schools.